I just defended my dissertation. Thank you to Jeff, Jill, and Dinakar for being on my Defense Committee. In this talk, I discuss some of the ideas and follow-ups on my thesis. I’ll also take this moment to include the dedication in my thesis. Here are the slides from my defense. After the defense, I gave Jeff and Jill a poster of our family tree. I made this using data from Math Genealogy, which has so much data. 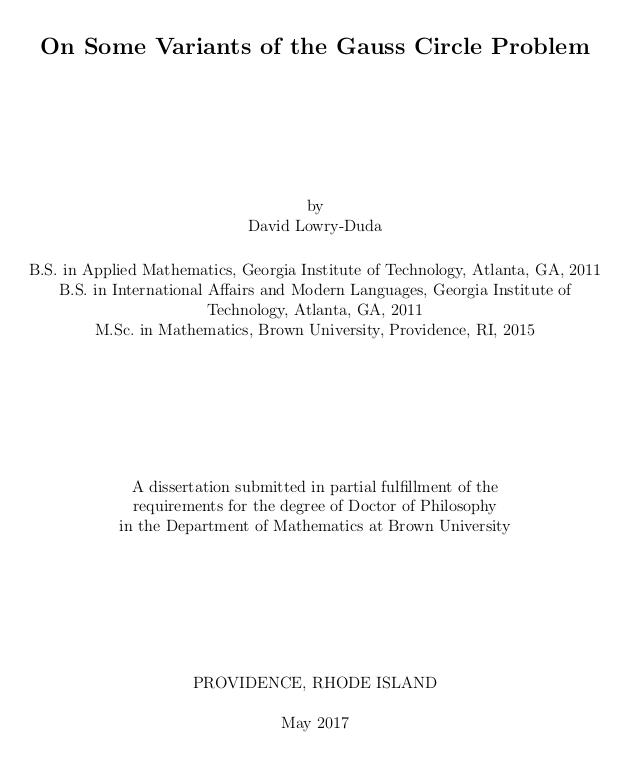 This entry was posted in Mathematics and tagged dissertation, family tree, poster, thesis. Bookmark the permalink. That’s an amazing family tree! How did you make it? Thanks John! The data is from Math Genealogy (which is amazing). I scraped this data with python and created a (data structure) graph. I added and edited some data by hand, such as creating the pairings between the married couples. Then I converted this graph into the DOT language specification, and used graphviz to create the graph itself. 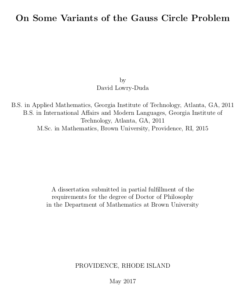 Finally I used $\LaTeX$ to create the labels and combined them together into one pdf. Each individual step is quite easy, even if en masse they seem quite hard.